1. The applicant is to complete the entire online application. It is critical that applicants provide correct contact information. SoFA representatives use email as the primary source of communication with students. It is imperative that the applicant provide a correct email address. A phone number is our secondary method of communication. Please note if texting is an acceptable form of communication. 2. Applicants must have two individuals provide a recommendation by completing the RECOMMENDATION FORM available on each middle school website and Henderson County High School’s website. One of the individuals providing a recommendation is to be a current or previous instructor of the applicant within the arts content that the applicant is applying. Examples of individuals to ask for recommendations include middle school teachers, private instructors, etc. 3. Current 8th and 9th-grade students may APPLY for more than one ARTS PATHWAY. A student that applies for more than one pathway will go through the required application process for each pathway that they are applying for. Ultimately, they will only be placed in one ARTS PATHWAY. 4. The applicant is to make sure they have completed all assignments (if a requirement of their pathway) prior to their audition. 5. Auditions will be held on Wednesday, February 27th and Thursday, February 28, 2019. 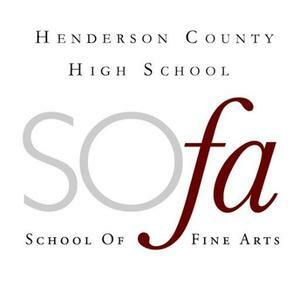 Auditions will begin at 4:00 pm at Henderson County High School. Applicants will be notified of their audition time via email and/or text. Applicants must be on time for their audition or risk waiting until all other auditions are completed that day before being allowed to audition. 6. All applicants, that have been accepted, will be notified no later than March 8, 2019.